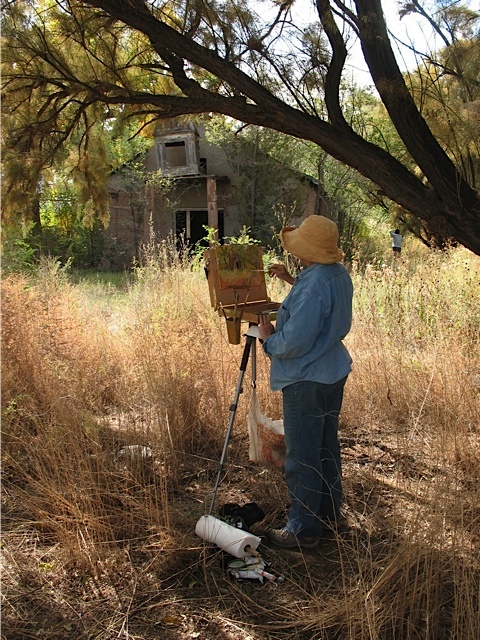 Paint canyons, riparian zones and historic buildlings during a multi-day paintout and exhibition Sept. 12 -14 in Socorro. Participants may show their work in a month-long exhibition at Vertu Fine Art Gallery on the Plaza. 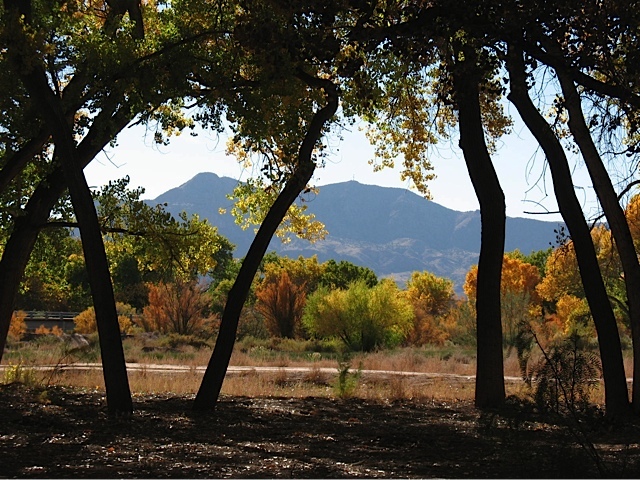 Thursday and Friday paintout locations may include Box Canyon, Bosque del Apache, San Lorenzo Canyon, San Acacia, and parks along the Rio Grande. Saturday morning we'll paint in the area of the Plaza and San Miguel Mission, with an afternoon reception at Vertu. Directions: Socorro is 75 miles south of Albuquerque on I-25. Take exit 150 and continue south on California Street approximately 1 mile to the intersection of Manzanares. Turn right (west) and the M Mountain Coffee parking lot will be on your immediate right. Thursday, September 12, 9:00 AM: Meet at the M Mountain Coffee House, 110 Manzanares, to greet your fellow painters, drink coffee, and get directions and maps. Thursday morning, the hosted paintout will be at Box Canyon on Highway 60 just west of Socorro. This location includes views of the nearby Chupadera and Magdelena Mountains. Thursday afternoon, the hosted paintout will be in the historic village of San Acacia, north of Socorro. Views in the vicinity include a small church, an old schoolhouse, Alamillo Mission, Black Mesa, and the Rio Grande valley. Friday, September 13, 8:30 AM: Meet at the M Mountain Coffee House, where we will caravan to San Lorenzo Canyon. Most vehicles can make the drive but, depending on conditions, high clearance vehicles may be advised for the last three miles. In that event, we will have alternative transportation for those without high clearance. San Lorenzo is a deeply eroded, narrow canyon with sandstone cliffs and fascinating rock formations. 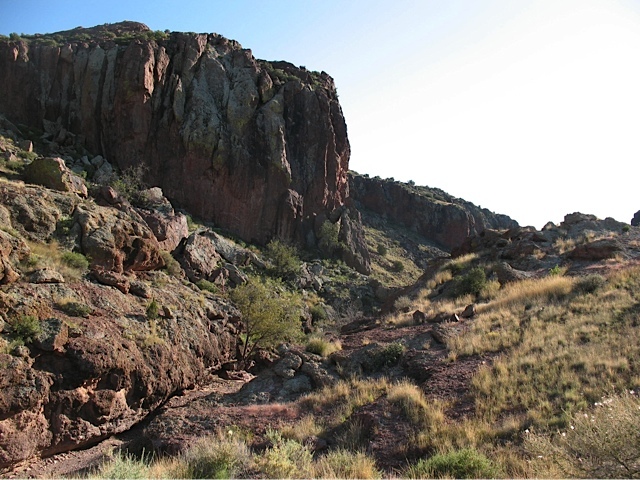 There are many alternative painting options in the Socorro area; maps will be available for those who would like to explore on their own. Friday, September 13, 4:00-6:00 PM: Deliver up to two paintings to Vertu Fine Art Gallery, 113 Abeyta Street, Socorro, NM. Saturday, September 14, 9:30 AM: Meet at Vertu Fine Art Gallery for a Quick Draw from 10:00 AM till noon, in the corridor between Socorro Plaza (Manzanares and Plaza Street) and San Miguel Mission (403 El Camino Real) Quick Draw paintings can be shown on the portal along the south side of the old Board of Trade building that houses Vertu. Opening Reception for the exhibition will be held from 2:00-4:00 PM. First, second, and third place prizes will be awarded for exhibition entries. Sunday, October 20, Noon-5:00 PM: Pick up unsold art at Vertu Fine Art Gallery from noon to 5:00 PM, or make arrangements with Karyn to pick up art at another time. Karyn Debont is the organizer and point of contact. Her email address is: kdebont01@gmail.com with phone number, (575) 418-8907.